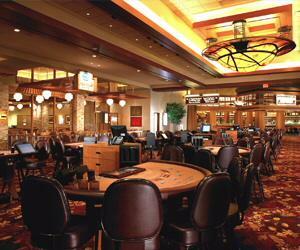 Cache Creek Casino Resort is a spacious 415,000 square foot poker playing haven. 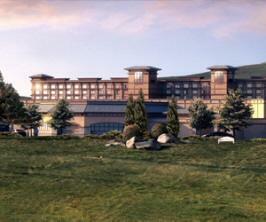 In addition to the gaming portion there is an additional 200 room luxury hotel and health spa adjacent to the property. Amenities here include eight restaurants, Club 88 featuring popular musician and comedian shows, a gas station, mini grocery store and fire station. One of the highlighted aspects is the 28 table poker room with some of the best poker playing games outside of Las Vegas. Featured games are Texas hold ‘em, Texas hold ‘em bonus, three card poker and four card poker. All of these games feature the friendliest and knowledgeable dealers in the Northern California poker region. No Limit Texas Hold ‘em tournaments are held each Wednesday and Friday. Entry fees into each tournament are $15 and must be done in person. There are no re-buy options and play is limited to fourteen rounds that are each 30 minutes in duration. The Wednesday tournament starts at 6:00 pm with a $55 buy in. The Friday tournament starts at 2:00 pm with a $115 buy in. Participants receive $3,000 in chips with the buy in fee price. For the first two rounds of play there is no ante and blinds are in the 25 to 100 range. Ante begins in round three at 25 with blinds at 50 to 100. Between rounds four and five there is a 10 minute break. Play resumes with a 100 ante and 300 to 600 blind. Another 10 minute break occurs between round eight and round nine. The ante and blind continues to increase with each round of play. In the final round, ante is 1500 with blinds at 64,000 to 128,000. Cache Creek poker room holds a Classic Texas hold ‘em tournament each April. This event is limited to the first 200 players that sign up and pay the $550 buy in fee. The tournament is held in the poker room. Cache Creek has come a long way from its bingo hall status in 1985. 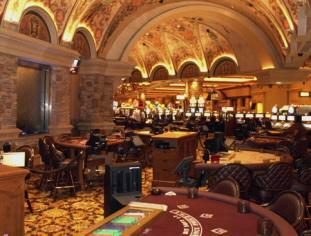 It is quickly becoming one of the premier places in California to play poker. The casino is located just off of hwy 16 on interstate 5 in Brooks, California. This entry was posted on Wednesday, June 11th, 2008 at 7:45 pm	and is filed under top casinos. You can follow any responses to this entry through the RSS 2.0 feed. You can leave a response, or trackback from your own site.